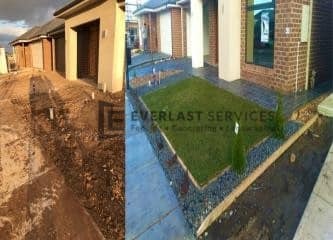 The perfect landscaping solution should do two things – improve the aesthetics of the backyard and decrease maintenance demands for the owner. 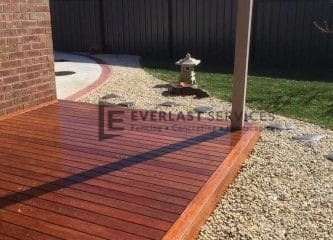 Our expert landscapers have managed to satisfy both these needs for the homeowners. The patch of grass in the backyard was sparse, making it an eyesore that needed continual attention. 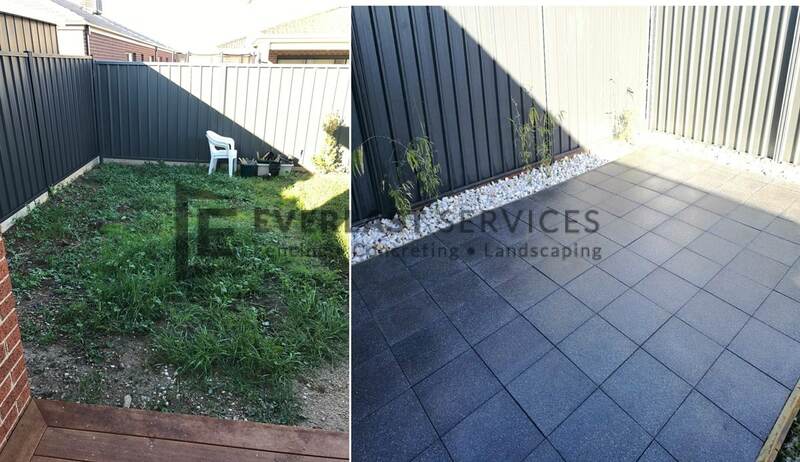 The Euro Stone Pavers have not only eliminated the need for mowing and weeding, they have also given the backyard a neat new look, while also providing the home with the perfect patio space for outdoor meals and entertaining. The owners will just need to sweep and hose the space down every so often, and it will look perfect for decades. The dark stones work perfectly with the white stone border, to create a visual that is both neat and dynamic. As the plants in the stone bed take shape, there will also be enough vegetation to provide the space with a touch of natural warmth that is so important in turning the area into a place of comfort and relaxation. The owners were thrilled with our team’s professionalism, and ability to deliver the project on time and on budget. As always, we delivered on everything we promised and completed another project that we’re immensely proud of. 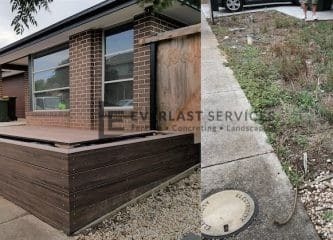 We can’t wait to see what the owners do with the space, as the paved area is the perfect blank canvas for them to add their own personal touch and flourish. We know it’s going to get plenty of use over summer.